Tuesday, Mar. 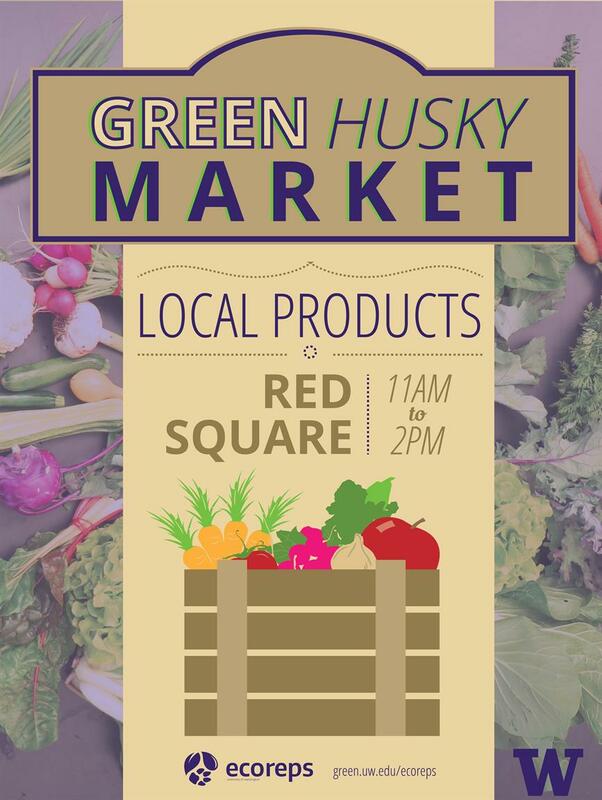 5, 2019, 11 a.m. – 2 p.m.
Support sustainable local businesses with your dollars at UW EcoReps' Green Husky Market! A number of local food vendors will be selling delicious meals and snacks at this event to help show that sustainability isn't just good for the environment, it can be pretty tasty too! Green student groups will also be tabling to answer your questions on sustainability, and to help you find out how to get more involved in the sustainability movement on campus. This event will be joint with the UW EcoReps Clothing Swap, so bring your used clothing and stop by the Clothing Swap tent to support sustainable fashion!